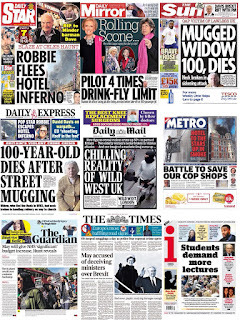 Well done to Janet Boyle who recorded the top score of 20 in last week's newsquiz, narrowly ahead of Liz Gerard on 19. Here is this week's quiz. As usual there are 25 questions about the week's events. Give it a go and let me know how you get on. 1. What did Foreign Secretary Boris Johnson describe as ‘basically the heart of Remain’? 2. Brexit Secretary David Davis accused the European Commission of 'shooting itself in the foot just to prove that the gun works’ by excluding the UK from what? 3. The Home Secretary Sajid Javid announced a revised counter-terrorism strategy which 'incorporates the lessons learnt from the attacks in 2017'. What single word did he say the strategy would be known as? 4. At Prime Minister Questions Labour leader Jeremy Corbyn said: 'When it comes to Brexit this government has delivered more delays and more cancellations than ____ ____’. What are the two missing words? 5. Prime Minister Theresa May joined other leaders at the G7 summit in which city? 6. Announcing the go-ahead for a third runway at Heathrow, Transport Secretary Chris Grayling said for how long each night will flights be banned to protect people living in the flight path? 7. Department store chain House of Fraser announced it is to close how many of its 59 shops, affecting 6,000 jobs, as part of a rescue deal? 8. Around 120 firefighters fought a blaze at which five-star hotel in Kensington, London? 9. Katherine Noel, born on Christmas Eve in Kansas City, Missouri, died this week. How was she better known? 10. 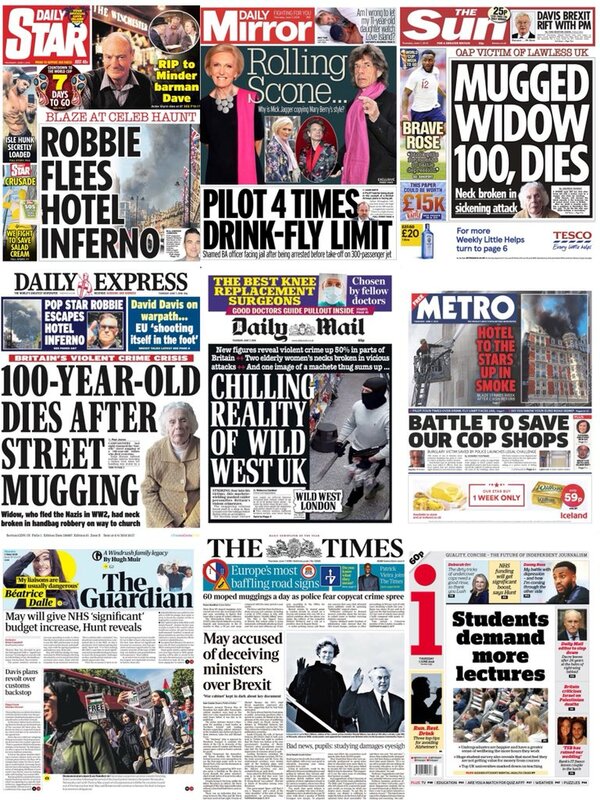 Why was 100-year-old widow Sophia Kaczan in the headlines? 11. The chief executive of which company apologised for saying that a woman could not do his job, adding his remarks had been intended as a joke and taken out of context? 12. Nightclub owner Peter Stringfellow, who died aged 77, was born in which city? 13. Paul Dacre, who is standing down as editor of the Daily Mail, is the UK’s longest-serving national newspaper editor. How many years has he been in charge of the paper? 14. A man allegedly hired to kill former Liberal leader Jeremy Thorpe’s ex-lover Norman Scott has been found - after it was previously reported he had died. What is his name? 15. Actor Benedict ­Cumberbatch jumped from a taxi in London to stop muggers beating up a cyclist working for which company? 16. Emirates president Sir Tim Clark said his company's newest Boeing 777 was a step on the way to the ultimate aim to have all planes without what? 17. Jerry Maren, who died in California aged 98, was the last surviving actor to have played a native of which fictional land where only shades of blue were worn? 18. What did Rolling Stones Keith Richards and Ronnie Wood reveal they ate before concerts on the band's UK tour? 19. Mary Wilson, the widow of former Labour prime minister Harold Wilson, died after a stroke. How old was she? 20. What is the name of the volcano that erupted on Guatemala killing more than 100 people? 21. Who struck a groundbreaking deal to livestream exclusive coverage of 20 Premier League football matches a season online? 22. Lee Ridley, 37, from Consett in County Durham, became famous under what stage name? 23. Who said: 'They say time is the healer. I have lost my watch, how is time going to heal? I have no idea what time it is’? 24. Victoria and David Beckham are auctioning off the outfits they wore to Prince Harry and Meghan Markle’s wedding to raise money for which families? 25. More than double the number of people applied to take part in this year's Love Island than applied to Oxford and Cambridge universities. To the nearest thousand, how many tried to take part in Love Island?